Welcome to the resource page for the 4 Shifts Protocol (formerly known as trudacot), a discussion protocol intended to help facilitate educator conversations about deeper learning, greater student agency, more authentic work, and rich technology infusion! 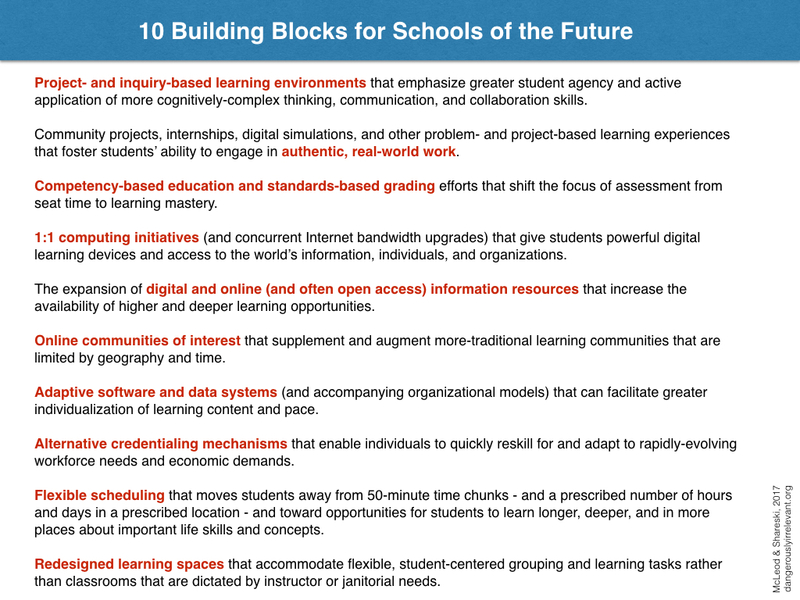 The 4 Shifts Protocol is being used by teachers, principals, instructional coaches, and technology integrationists all over the world to make lessons, units, and instructional activities richer, more robust, and more relevant for the global innovation society in which we now live. The 4 Shifts Protocol is open source and very much a work in progress. Feel free to use and/or modify it as desired. The more people that we have looking at and working with the protocol, the more useful it can become. and help us make it better! Even better, share out using the #4shifts hashtag! Looking for professional learning opportunities related to the protocol? Get in touch! 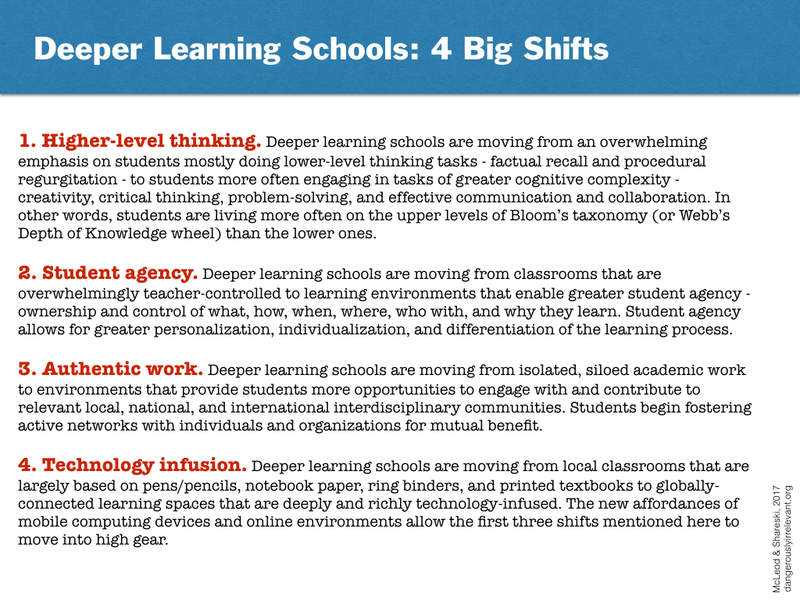 What are the 4 Big Shifts? 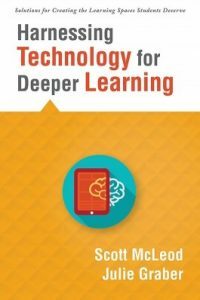 Our new book, Harnessing Technology for Deeper Learning, takes a deep dive with the protocol. In the book we provide eight concrete examples of lesson and unit (re)design so that you can see the protocol in practice across various grade levels and subject areas. The book is aimed squarely at practitioners and their day-to-day instructional (re)design needs. We also explain in the book why we think the protocol is a great complement to SAMR, TPACK, RAT, PIC-RAT, and the Arizona and Florida Technology Integration Matrices. And we include numerous tips and suggestions for using the protocol in your school(s)! Join the mailing list to get 4 Shifts Protocol tips and updates! Contact Scott and Julie with questions, suggestions, challenges, etc.